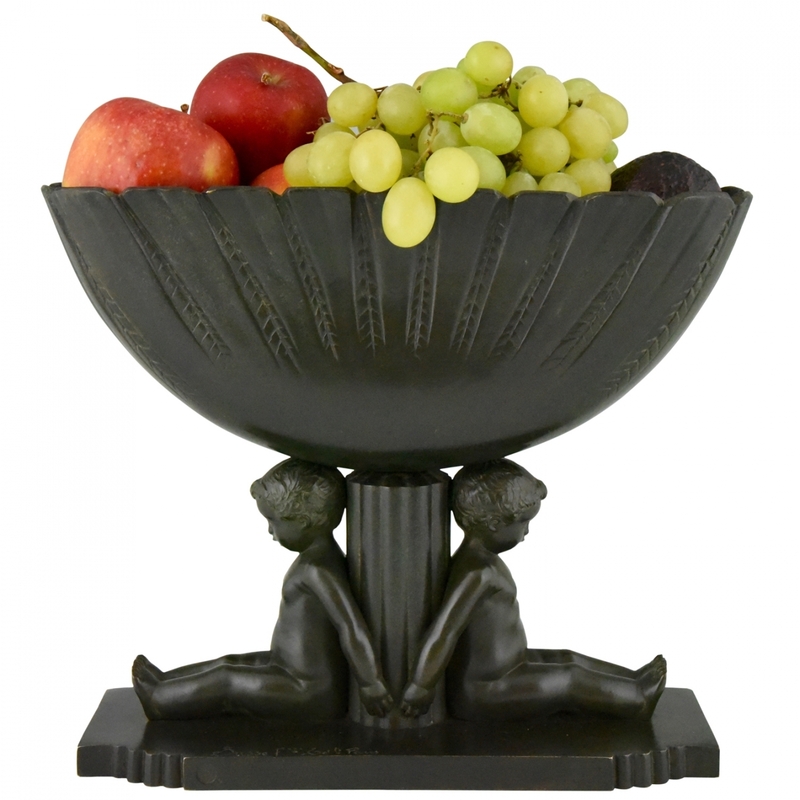 Beautiful French Art Deco bronze fruit or flowerdish with two cute little boys by the well known artist Paul Silbvestre. This piece has a deep dark green patina and bears the Susse Freres foundry seal and signature. Artist/ Maker:Paul Silvestre Signature/ Marks:P. Silvestre, foundry seal, Susse Frères Paris. 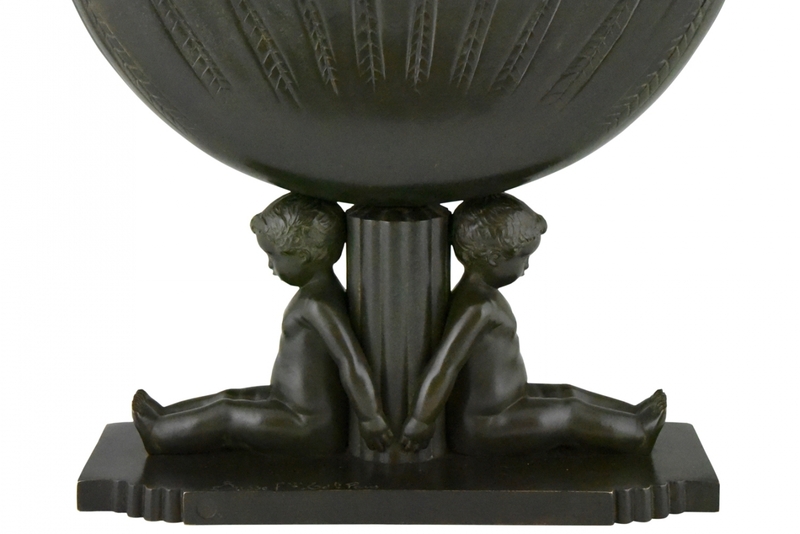 Style:Art Deco Date:1930 Material:Dark green patinated bronze. Origin:France Size:H. 28 cm x L. 33 cm x W. 13 cm. H. 11 inch x L. 13 inch x W. 5.1 inch. Condition:Very good condition. Literature:Bronzes, sculptors and founders by H. Berman, Abage. Art deco sculpture by Victor Arwas, Academy. Animals in bronze by Christopher Payne. Antique collectors club. The dictionary of sculptors in bronze by James Mackay. Antique collectors club. Dictionnaire illustré des sculpteurs animaliers & fondeurs de l’antiquité à nos jours by Jean Charles Hachet. Argus Valentines. H. 28 W. 33 D. 13 cm. H. 11 W. 13 D. 5 in.